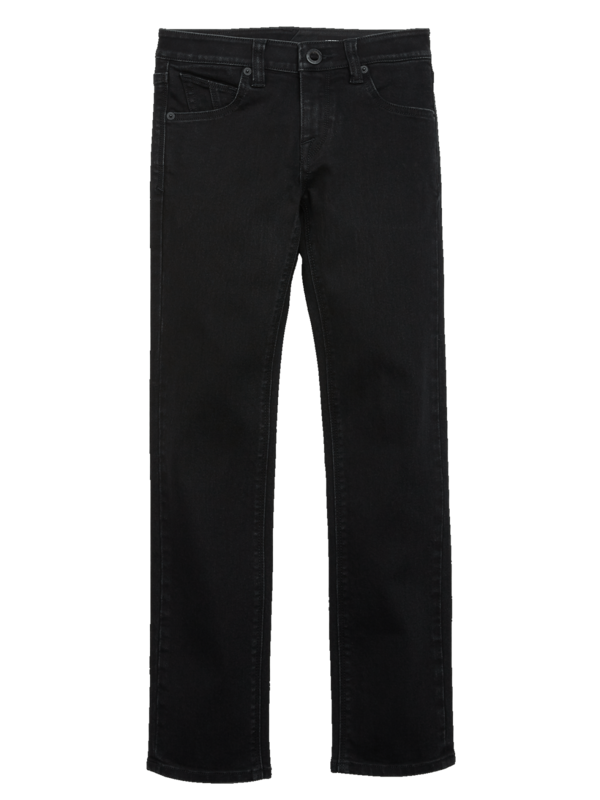 The Vorta Jeans offer superior stretch, unsurpassed recovery. Style points include a slim torso, a relaxed rise and a straight leg with a 13" leg opening. We've included a dual finish buckle button, Volcom embroidery on the top right back pockets, and a new back pocket shape with a 2-needle topstitch hem. But the high quality features don't stop there. We've also included off stitching on the back left pocket, new zippers with a dual finish, a Stone embroidery with indigo dyed thread, dual finish hardware, and signature black and white threading. Machine wash cold with like colors, tumble dry low.